A piece of Hawaii is now entirely underwater. This happened as a result of Hurricane Walaka, a Category 4 super-storm that hit the chain of small islands and atolls, recently. The former Hawaiian features in question were East Island and Tern Island, located in a region of the US state known as French Frigate Shoals. Tern Island was reported as physically “altered” by the storm, whereas East Island was not that lucky and this area has been completely submerged as a result of hurricane activity. Where is (or was) East Island? 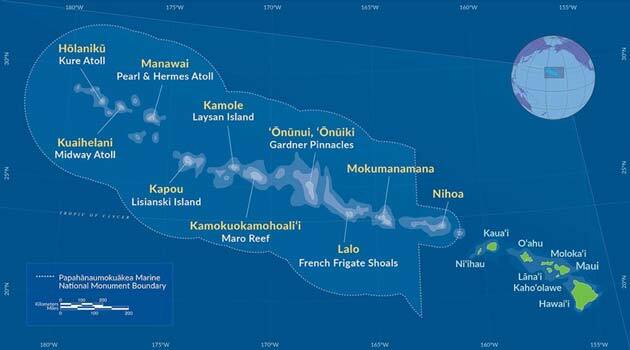 East and Tern islands were mostly a part of the Papahānaumokuākea Marine National Monument (PMNM), a long chain of islandettes in the leeward, northwestern portion of the state of Hawaii. Like much of Papahānaumokuākea, the French Frigate Shoals (or Lalo, in Hawaiian) were not heavily populated. 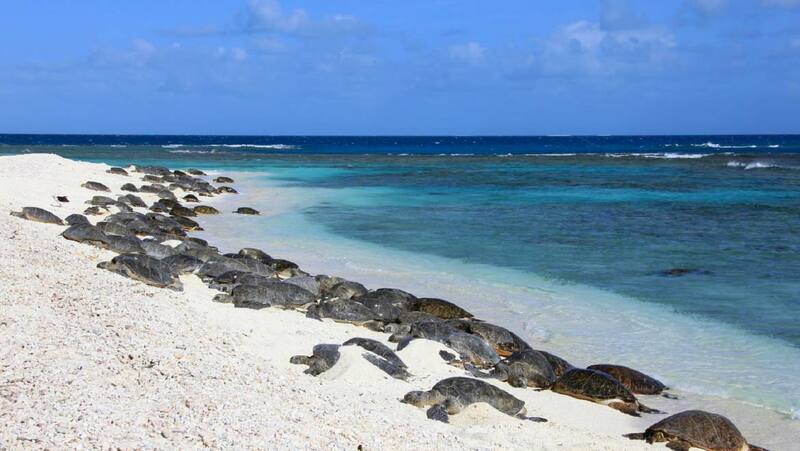 Despite being a small atoll, East Island was vital to green sea turtles and monk seals that are native to the islands, and also, to the scientists who studied these creatures. The atoll’s main feature was its relatively large sandbanks. This is where over 90% of the green sea turtles would lay their eggs, as they had been doing for many years and generations. The monk seals also used these areas to birth their pups. This sand is now gone, perhaps forever, washed away by Hurricane Walaka. The actual atoll is still visible to aerial photography units, but it has officially been called 100% submerged. As an atoll, East Island had only been about 400 feet wide and 1 mile in length, with about 11 acres of ground, atop a coral reef. Like most of the northwestern island chains, this piece of land was also extremely low-lying. Therefore, its tiny size made its existence precarious in the face of the rising Pacific Ocean levels. Nevertheless, researchers believed that the island had, at least, a decade before sinking below the waves. Randy Kosaki, a senior PMNM representative with the United States National Oceanic and Atmospheric Administration, pointed to the loss of the atoll as an important piece of evidence of climate change and its detrimental effects. Indeed, the worst consequences of Walaka will be felt by the animals that have depended on East Island, and the researchers who spent time on the atoll to study them. 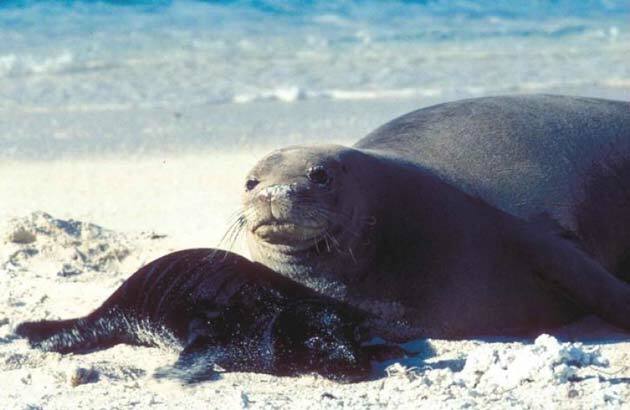 Monk seals and green sea turtles are currently regarded as endangered and threatened species, respectively. Presently, there are only about 1400 monk seals left. As for the sea turtles, it is highly possible that the hurricane could have washed their nests (covered holes in the sand containing eggs) away, along with East Island’s shores. The Age of Climate Change: What’s Next for the Islands? Furthermore, PMNM officials also report that Tern Island appears to have lost its normal shape to Hurricane Walaka. As the turtles and seals also breed here, this is an additional blow to the two species. At this point, it is not clear if this damage can be rectified, or if East Island can ever be recovered. However, this is not the last hurricane of the season, and there is little telling what the next one may take from the Earth’s natural reserves.